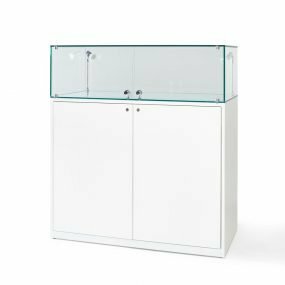 Looking for Museum Display Cases to Buy or Rent? 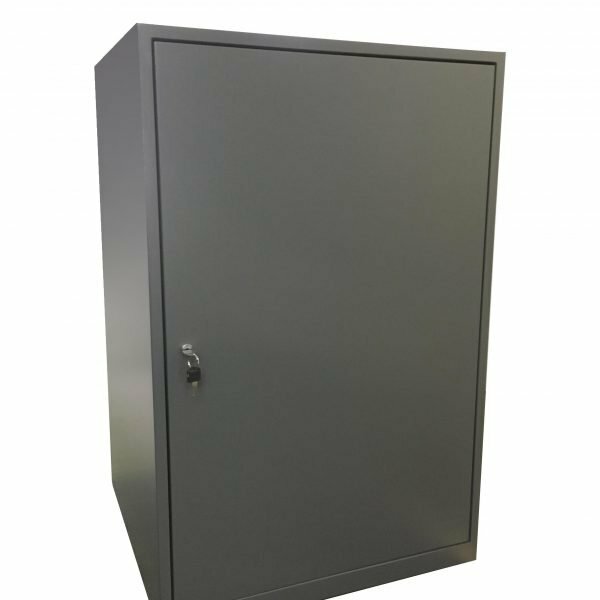 If you are looking for high quality museum display cases, in order to securely display your items to the public in a safe manner, then there are a range of options on this page available to you. Museums predominantly hold items which are of value. Museums wish to keep exhibits in the condition in which they are donated. This is why exhibits are usually protected behind either glass or acrylic. There are benefits to both materials but they also have their drawbacks, we try to help you decide which would be better for your museum by discussing both with you. Taking into account the design of your exhibit, we will advise you based on longevity and appearance but will always make sure that you as the customer are fully informed to make your decision. The picture above shows a bespoke made counter top. Is has a rebate (raised piece) in the middle, for an acrylic display case to be placed over the top. The acrylic is secured to the plinth with 4 small screws into the side of the rebate. This was made bespoke in the workshops for Nantwich Museum. The choice of acrylic was based on the clarity, (as acrylic is more optically clear than glass) and the fact that the visitors will not be walking past the acrylic or leaning on it, therefore not scratching it, made acrylic the best choice in this instance. Acrylic is also much lighter than glass in terms of weight. The drawback is that it does scratch very easily if the customers are able to lean on it or stand close to it. Durham Cathedral (pictured on the right) also had bespoke size acrylic cases made for their exhibition space. In this space they regularly showcase artefacts in acrylic cases for the public to view. The acrylic display cases being light (compared to glass) in this instance was important for the customer because their porters needed to be able to lift the cases off and place them into storage between uses. Typically, the acrylic case in the foreground of the image is 1m x 1m and 50cm high. An acrylic case this size may weigh 5kg, however a glass hood the same dimensions would be 60kg. However the acrylic in this instance is more prone to scratching because the customers can walk right up to, and touch, the cases. Sometimes, people wish to hire the museum display cases which we have in stock for a temporary, one week exhibition in a small museum or gallery. 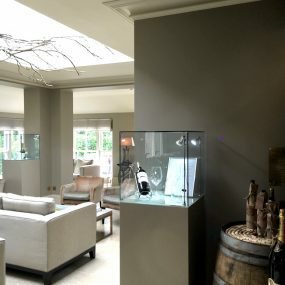 The display cases provide a secure space in which for the jewellery to be displayed, and with the battery powered lighting in the cabinets they can be placed in the centre of a room without electricity.